“We are issuing notice”, a bench headed by Chief Justice Dipak Misra told petitioner and lawyer Anuja Kapoor. SC orders. She contended that “open sale of acid was going on in the market without any control”. SC had earlier ruled that a photo identity card containing residential address issued by authorities concerned would be required for purchasing such substances which in any case cannot be sold to a person who is below 18 years. She urged that the Supreme Court should not spare any state which is not implementing its earlier orders in dealing with acid attacks on women and not providing timely relief and compensation. “The procedures involved for release of the compensation and medicl treatment are very tedious lengthy and tiresome even after there are various guidelines and laws for the same”, she argued. “It is the need of the hour to hold accountable and liable the above said respondents for not complying with the guidelines and the orders of the SC”, her petition said. Issue a writ/order or Direction in the nature of mandamus issuing the notice to the respondents and concerned authorities for compliance of the guidelines and various laws pertaining to acid attack victims. It is to be noted that the SC had in November 2015 issued show cause notices to the chief secretaries of all several states explain why contempt proceedings shall not be issued against them. 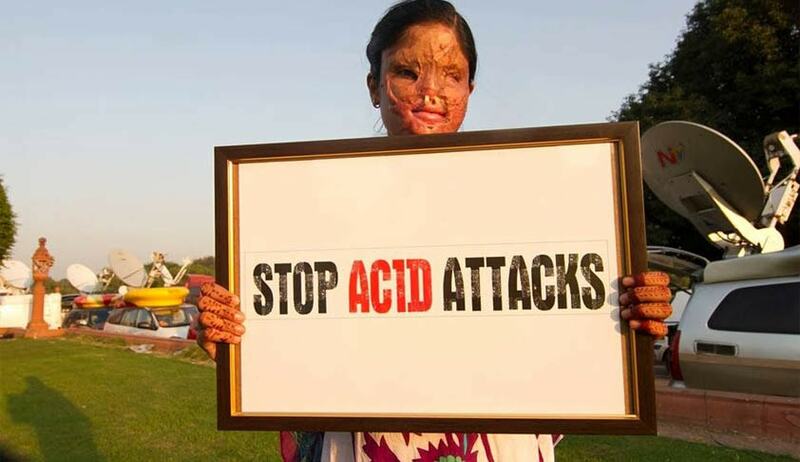 In a bid to curb acid attacks on women, SC had directed in 2013 directed that acid attack be made a non-bailable offence and had enhanced to Rs three lakh the compensation amount for the victims.